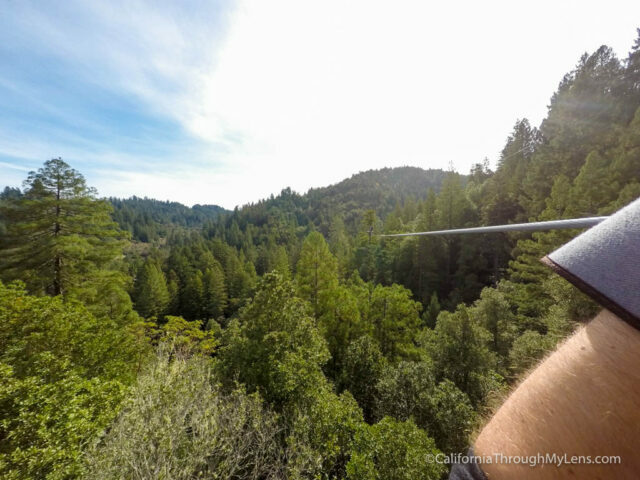 When you are in Santa Rosa, and you hear about a ziplining course that takes you through a redwood forest you can help but do it, right? My wife and I took the 40-minute drive from our hotel in Santa Rosa on an early fall morning and got there just in time for our 2.5-hour adventure on the classic course. It was a ton of fun and a top notch organization, here is all the information so you can do it yourself. 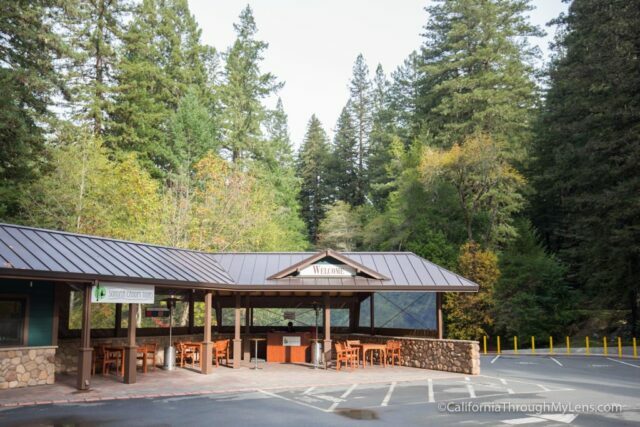 The tour area is located off Bohemian Highway in the town of Occidental. When you book a tour, they will send you directions as they recommend you do not use Google Maps. After checking in for our tour in the parking lot, we waited for the truck used to shuttle our group up to the tour area. When we got off the shuttle they have a store, bathrooms and a lot of plaques with information about the course and the forest. The rest of our group (7 people) arrived shortly after and our guides Nick and Shaina got us into our harnesses and gloves. There is a short practice zip here that everyone has to go on. 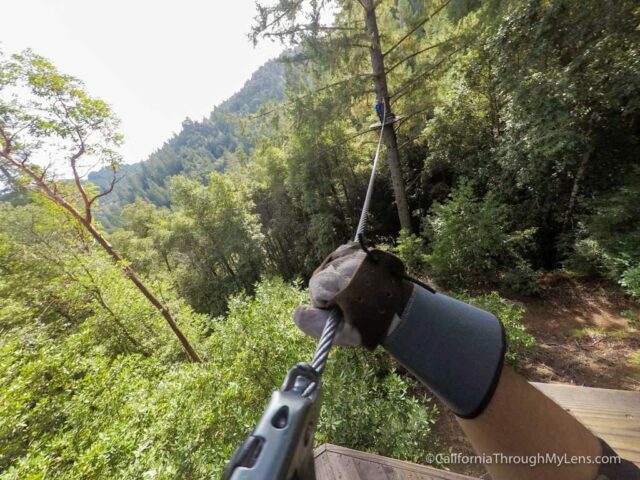 This 15-foot zip gets you used to the way you will be breaking and what it is like if you don’t make it fully to the end of the zip line while up on the course. 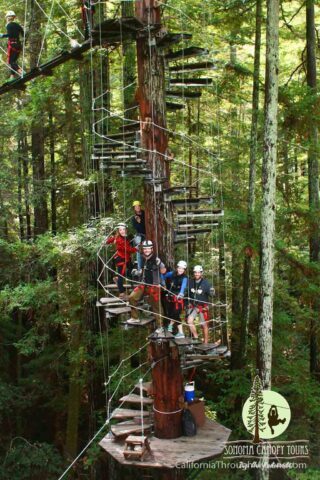 I appreciated this as it was a good way to get accustomed to the feel of the zip before being high in the air. After loading up in another truck, we made it to the top of the area where we were to start our course. The first few zips are relatively short and they get you accustomed to the process you will be taking. This course has seven zips, most getting progressively longer as you proceed. 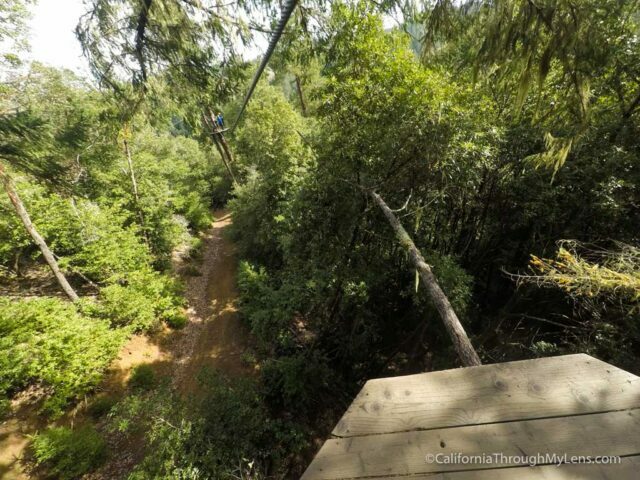 The second and third zips take you into small platforms that are high off the ground, and that sway a little making them pretty scary if you don’t like heights. The fourth is longest of the course, and you can’t even see the end from where you start; it is awesome. 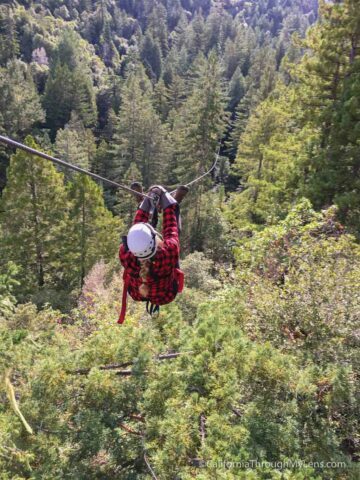 You go fast on this zip and it’s a total rush. The zips continue along like this until you get to the photo zip. 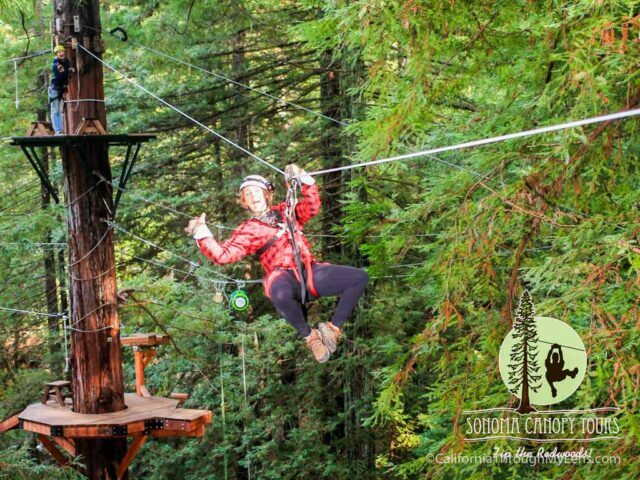 This small zip line takes your photo so you can pose like Amie did in the below photo. 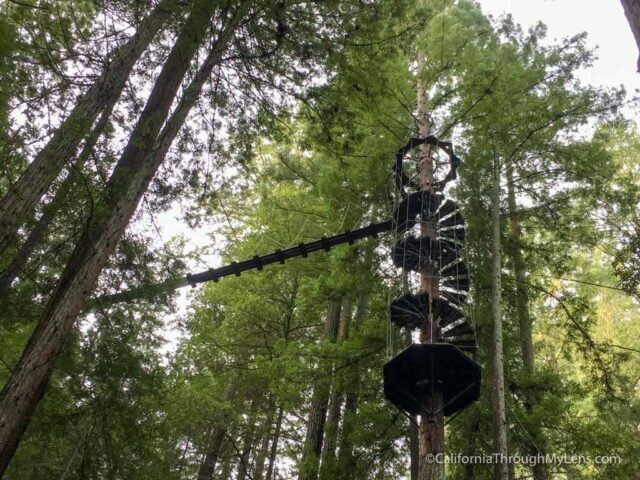 From here you will head up the hanging spiral staircase which is a unique addition to the course. 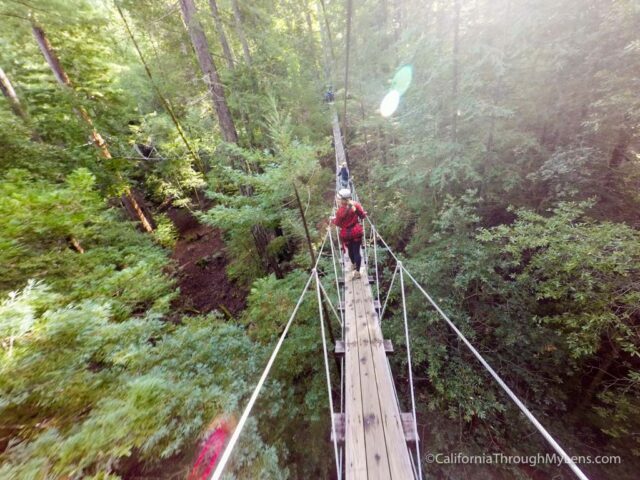 Once you get to the top, you will start one of two sky bridges. 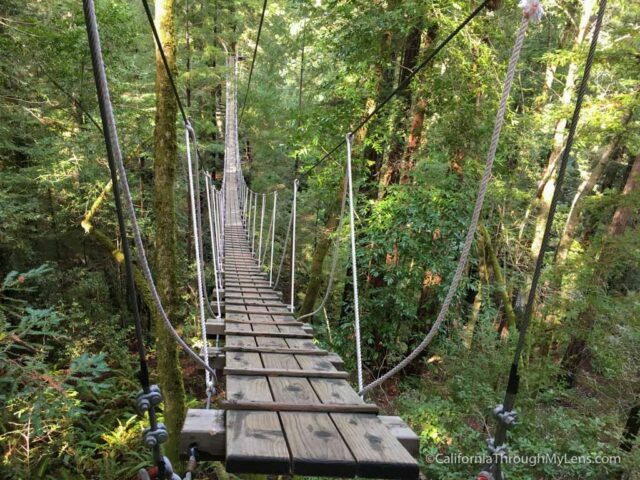 Both of these bridges are a lot of fun, and they both give you a little rush as then bend and move when you walk across them. They are not too scary though and you can hold on the entire time. 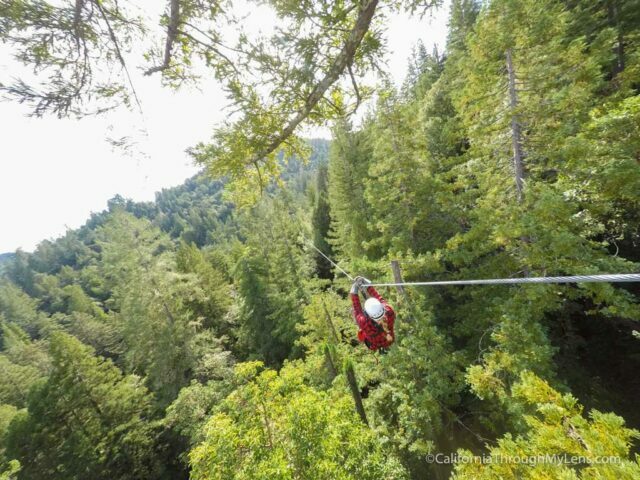 Upon reaching the end of the bridges, you will be at the last zip line which takes you to the scariest part of the course, the rappel. 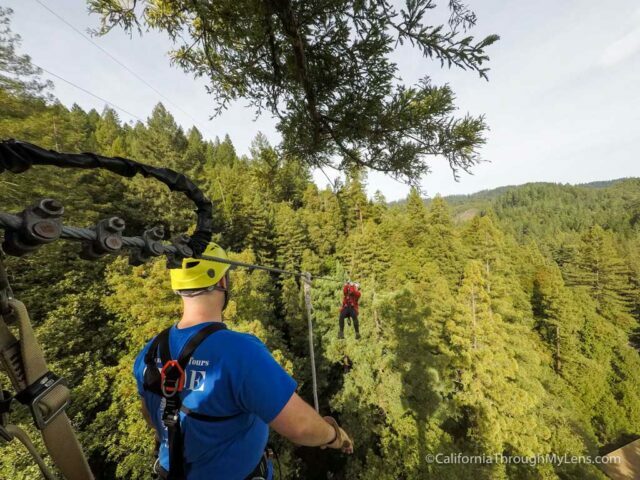 The rappel is from a platform about 60 feet in the air; it is an automated rappel though so you just have to get over the edge, and it lowers you down. I found it to be nerve racking as I approached it, then totally fine as I was being lowered down. 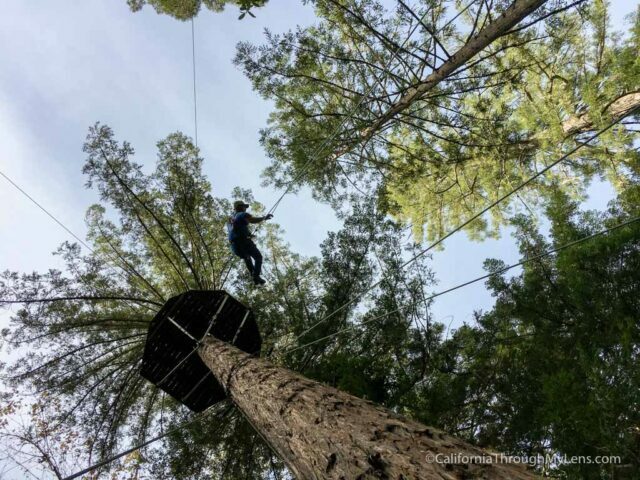 Once you make it to the flat ground again, you will be able to breathe a sigh of relief and ride out the high you feel from the zip line course. 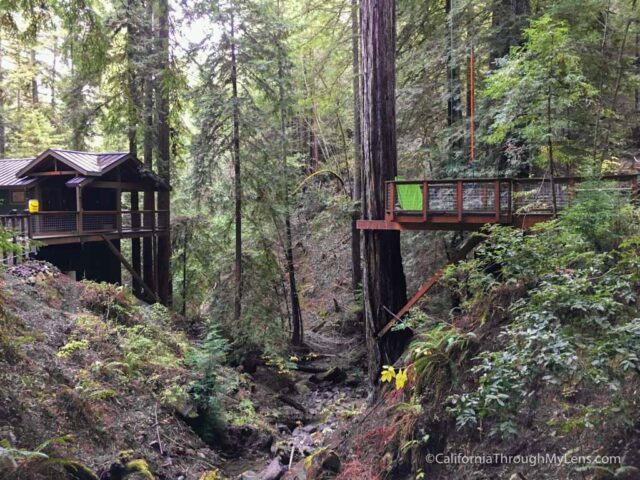 All in all, this is a fantastic way to spend an adventurous half day in the Santa Rosa area, and I highly recommend you give it a try. Let me know what you think in the comments below.